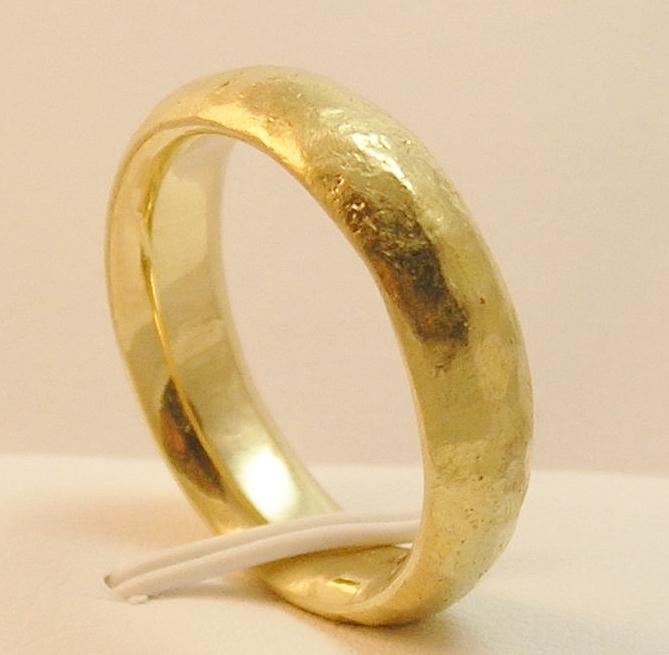 18kt Custom Made, Textured, Super Heavy Comfort Fit Band, 3.75 mm deep. Chose a quality, comfortable band that’ll be like a little friend, not an annoying “thing.” Two rings may look the same but, trust me, they’re not. Let’s explore the differences and make sure you’re a winner in the wedding band best-choices contest. Bands commonly come in three different weights: light, medium, and heavy. 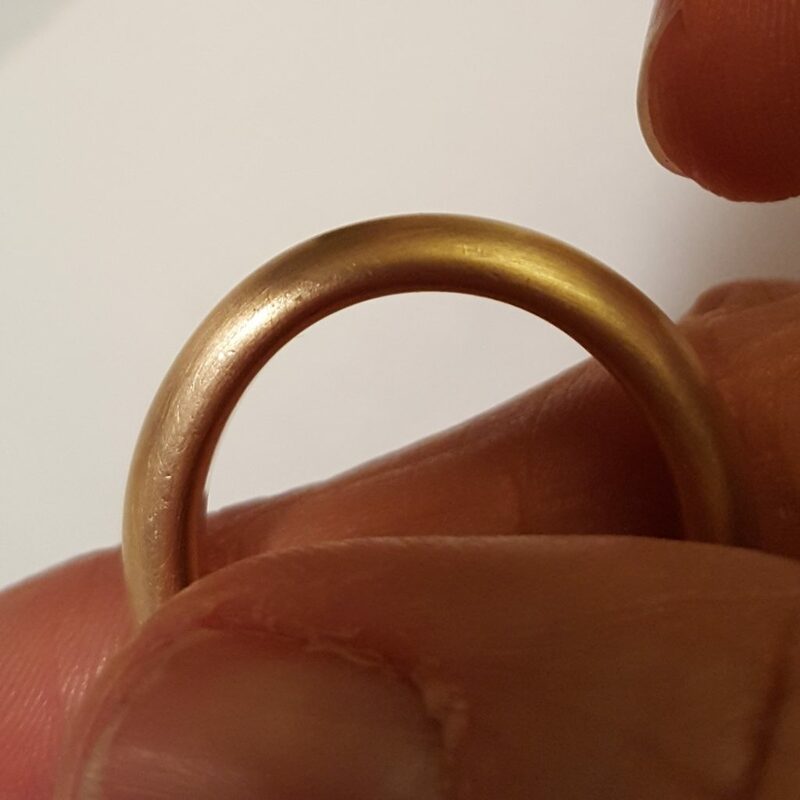 The heavier the band, the thicker the ring and the more gold will have been used in its manufacture. As you might have guessed, you’ll pay more for a heavier band than a lighter model. Don't Buy This Ring, it is too Thin for Daily Wear. See How Bent up it Got? So, why get a band that costs a $100 more than an almost identical looking lighter one? 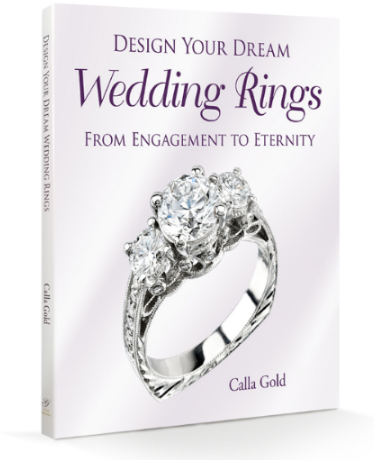 Heavier rings are more durable and more likely to last through the slings and arrows of your amazing life. A lighter model is more susceptible to cracking and bending and may deteriorate more rapidly. The other reason—pay attention guys—is that a heavier ring just feels better. A heavier band feels more substantial. Like it didn't come from a gumball machine or off a rickety table at the local swap meet. Think of it like the difference between a Smart car and Mercedes. If you can afford it, get the latter. You might not have been aware of it, but the inside of a band ring comes in different shapes. Most inside surfaces are flat. Some—like the Comfort Fit ring—are convex. I prefer convex. Allow me to explain why. Comfort Fit rings are easier to take on and off due to the nature of the inside, convex curve. Wider bands with the flat surface inside can be especially difficult to move over the knuckle. The comfort fit though perhaps 6mm wide, may feel more like a 4mm width due to its convex inner shape. That 4mm feel will be much easier to remove. The reason a flat inside 6mm band is more difficult to remove than a comfort fit is because the flat surface somehow can create a suction-like connection to your skin. It really grips it and discourages sliding. I always recommend Comfort Fit for any band wider than 6mm. Cross Section of Flat Inside and Comfort Fit Inside. Diagram by Stuller Inc.
Another advantage of Comfort Fit rings is that they don’t trap moisture the way a band can with an inside flat surface. The longer skin is exposed to dampness, the greater the chance of rash and irritation. And finally, they aren’t called “Comfort Fit” for no reason. Comfort Fit bands are simply more comfy to wear than flat-inside ones. Notice the Yummy Roundedness at the Edge of These Bands. Smooth as Butter. 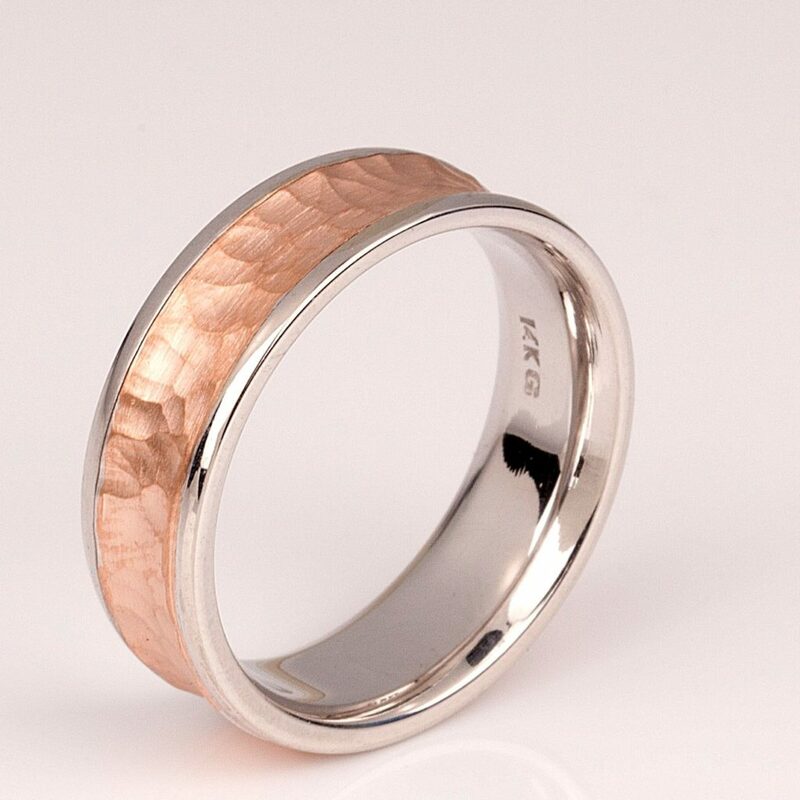 I prefer a band that is softly rounded at the edges as well as having that nice convex curve next to your finger. Heavy and Light Comfort Fit Bands What’s the Difference? The light comfort bands have less depth from top to bottom for example 2mm deep. A heavy comfort fit band could be 2.5 to 3mm deep at the center of the ring which is where it’d be measured. A light comfort fit will not have as noticeable comfort curve underneath as the deeper heavy comfort band. How Much is a Non-Comfort fit Band Compared to Comfort Fit or Heavy Comfort Fit Band? Just Because You Want Sound Waves or Another Cool Design, Doesn't Mean You Can't Have Comfort Fit Inside Like This couple. I’m taking three wedding bands that look quite similar (not pictured) on casual glance and comparing them for you. Same size, same gold content, same width. The only changes are the inside shape. 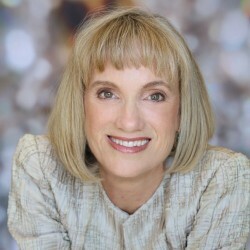 Comfort Fit Inside Does Not Feel As Noticeable on Wider Wedding Bands. 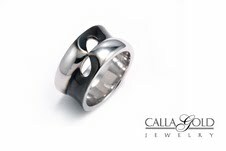 This One is 14kt White Gold with Black Rhodium. Gold and platinum can be sized and altered by your jeweler. Alternate metals? 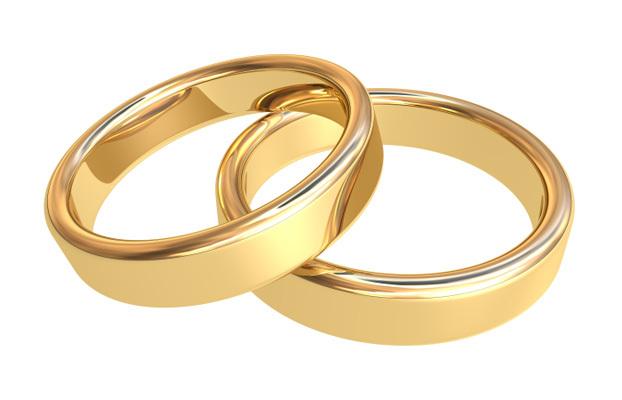 Well if you want to know what I really think read my blog post, "Don’t Buy Titanium or Tungsten Wedding Bands." If you don't have time, just know I DO NOT approve of alternate metals as wedding bands. If you’re planning on wearing a band for the rest of your life, do yourself a favor and get something that’s easy to take on and off and won’t irritate the daylights out of your finger. Get a gold or platinum heavy comfort fit band. I actually custom make a lot of comfort fit bands. A lot of guys like them for being more noticeably comforted on the inside, so I make between 2.25mm and 3.75mm deep custom bands. I really like a very rounded edge and do what I call rolled edges. In the trivia department, the ring at the top, I made that for my husband Jeremy. He has three wedding rings and one wife and wears that one all the time. So what’ll it be? Flat or comfort? 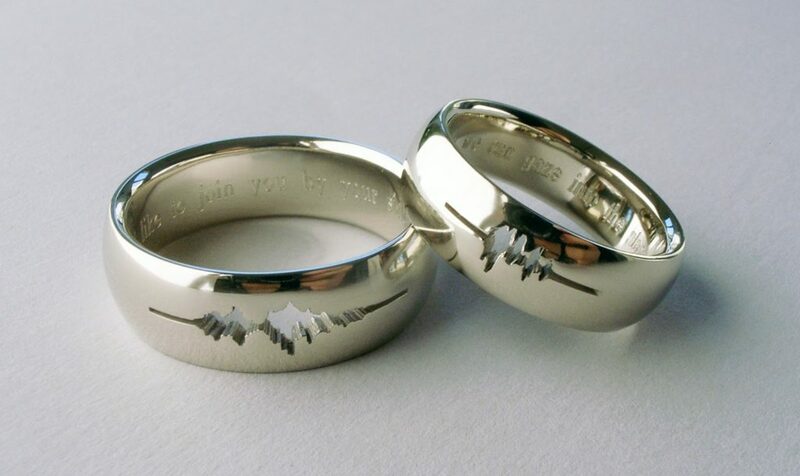 LGBT Wedding bands – What About the Guys? I really appreciate the practical and informative way you talk about jewelry. You discuss things I wouldn’t have even known to ask and it is all laid out in an easy to understand way. I have never seen anyone discuss jewelry in the way you do. Thanks for the education! 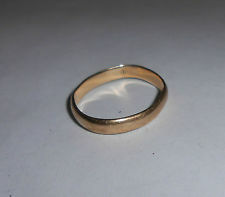 My requirement is dome top,flat inside,1.55 millimeters deep,size 8 rich green gold alloy plain ring band and its price and second question in my mind is that why rose,white and green gold is more expensive than 24k pure yellow gold as silver,copper and zinc are less expensive materials mixed in their alloys?